“Whenever you drive a rental car, you must be properly covered. Luckily, there are several car rental insurance options”, said Russell Rabichev, Marketing Director of Internet Marketing Company. 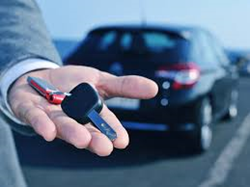 Compare-autoinsurance.org has released a new blog post provides additional info about rental car insurance. Rental car insurance may refer to coverage used for a rental car or the coverage on a personal auto policy which pays for a rental car. In both cases, it covers a car used for a certain amount of time. Additional Liability Insurance. Also named Supplemental Liability Insurance. It covers the property damage and bodily injuries caused when driving the rental car. If the driver has good liability coverage limits on his personal policy, this coverage is not a priority. Personal Accident Insurance. While liability coverage covers other people's property damage and injuries in an accident, personal accident coverage includes medical, ambulance and death benefits for the rental car driver and his passengers. Collision Damage Waiver. Also known as LDW (Loss Damage Waiver). It is a waiver of responsibility. The policyholder will not be held accountable if he is involved in an accident while driving the rental car. Pay attention to waiver limits and the state’s rules. Personal Effects Coverage. It covers belongings stolen from the rental car. Again, this coverage should not be a priority since it is likely to have those belongings covered by homeowners’/renters insurance.